Elvis Presley is back in the building - as a fantastic bobble head! 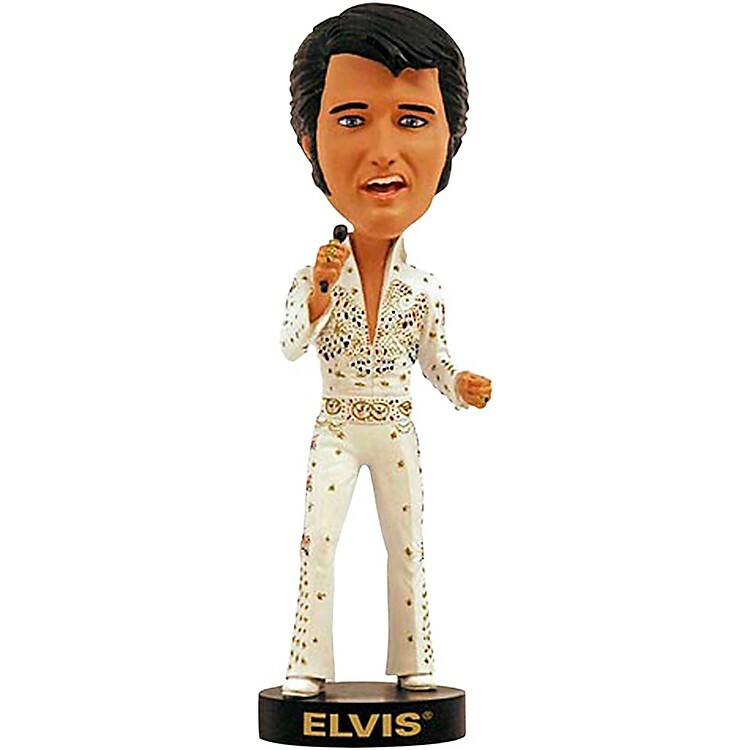 The Elvis Presley Aloha Bobble Head features The King of Rock and Roll wearing the sparkling white outfit from his Aloha Tour. Measures over 8-inches tall. Ages 13 and up. Made from ceramic.